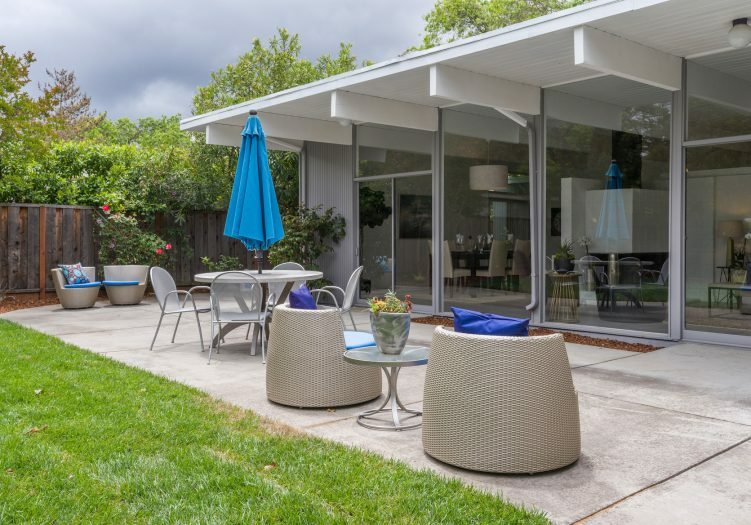 This beautifully updated four bedroom, two bathroom Eichler home features bright, open spaces and sits on an oversized lot of approximately 8,330 square feet. 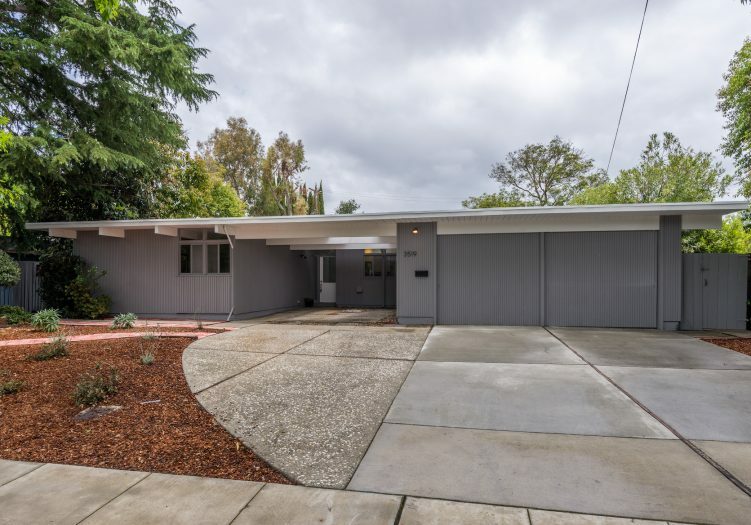 The home offers a newly updated kitchen with slick flat front cabinets and stainless steel appliances, beautifully updated bathrooms, updated flooring throughout and new landscaping in the front and backyard. 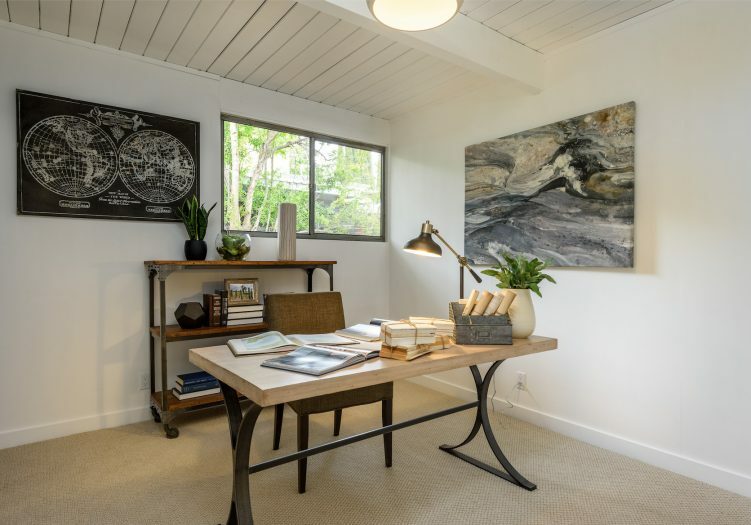 Enjoy an open floor plan that embraces nature through walls of windows that flood the home with light. 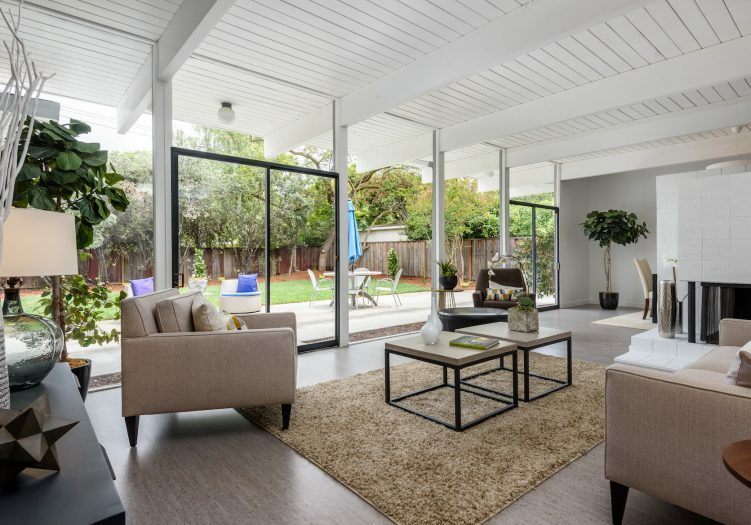 Slide open the doors in the living and dining rooms to create the ideal indoor-outdoor flow to a freshly landscaped yard. 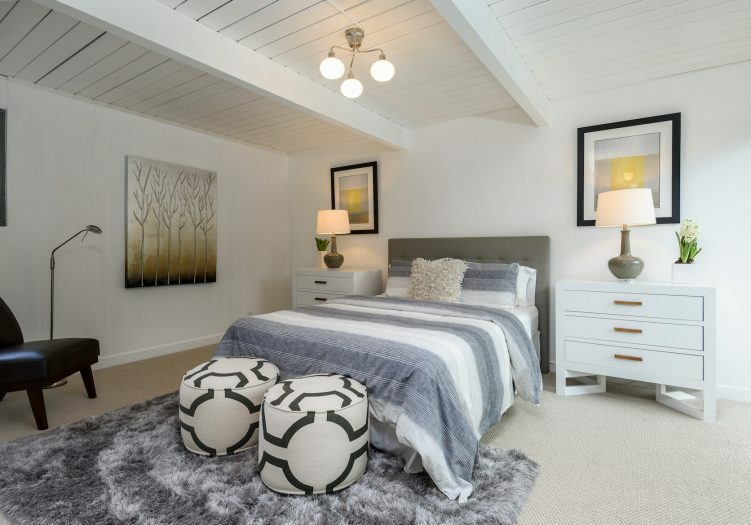 Each of the four bedrooms features high ceilings, exposed beams, large closets and new carpet. 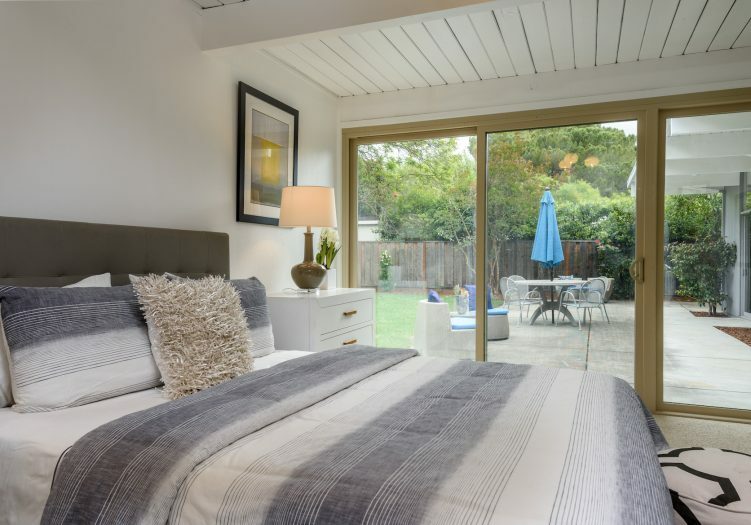 The tastefully updated master suite flows onto the back patio through a wall of glass. Outside your door, access some of Palo Alto’s best spots. 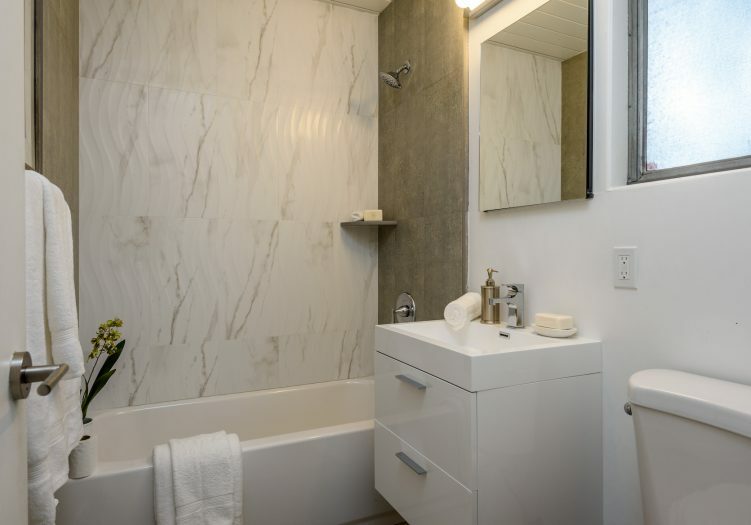 Close proximity to Philz Coffee, Charleston Shopping Center, Mitchell Park’s fields and parks, in addition to being close to San Antonio Road, 101 and the Caltrain Station. 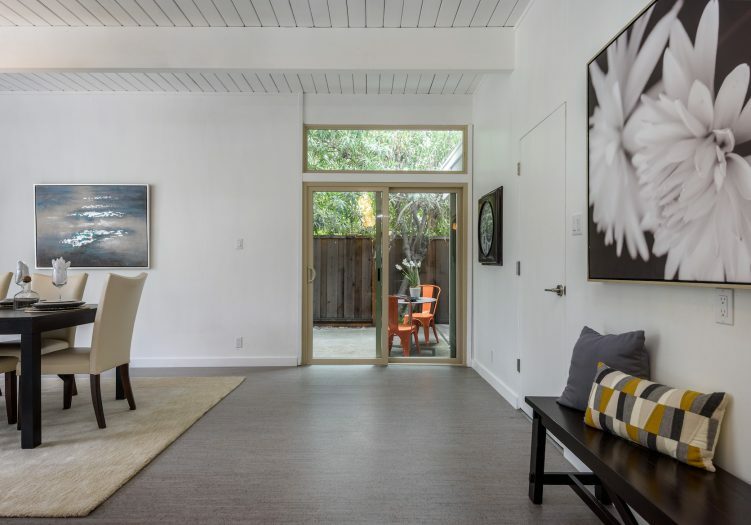 It’s quintessential California charm. 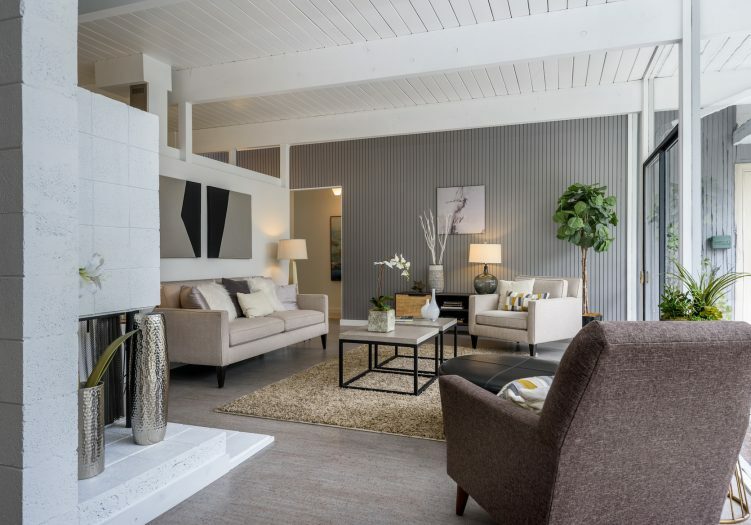 Coveted original Eichler home with clean modern lines updated to preserve character. 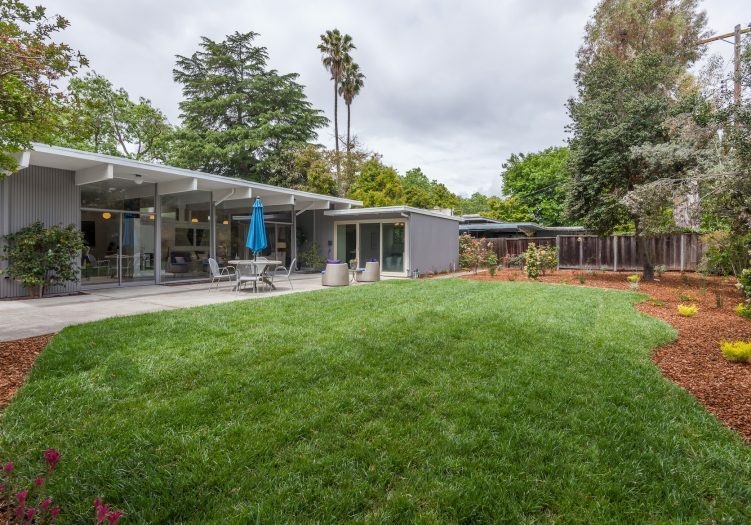 Oversized lot of approximately 8,330 square feet. 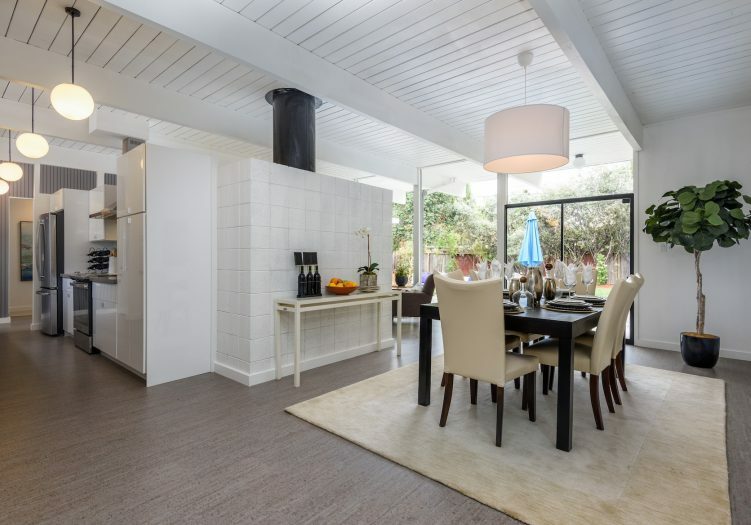 New cork flooring, fresh white paint, new carpet, updated kitchen, new landscaping. Exposed beams & decking on ceiling, globe lights, original wood burning fireplace. Open floor plan - living and dining rooms seamlessly connect to outdoor space. 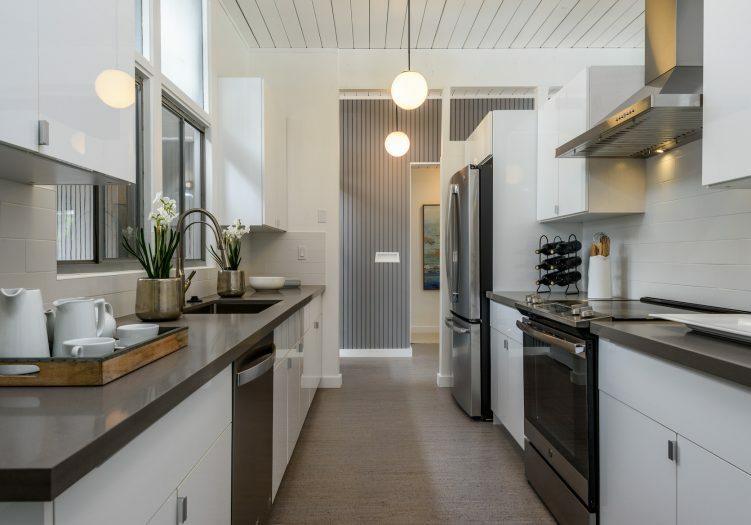 Updated modern kitchen with flat front white cabinets, soft grey countertops, stainless steel appliances. 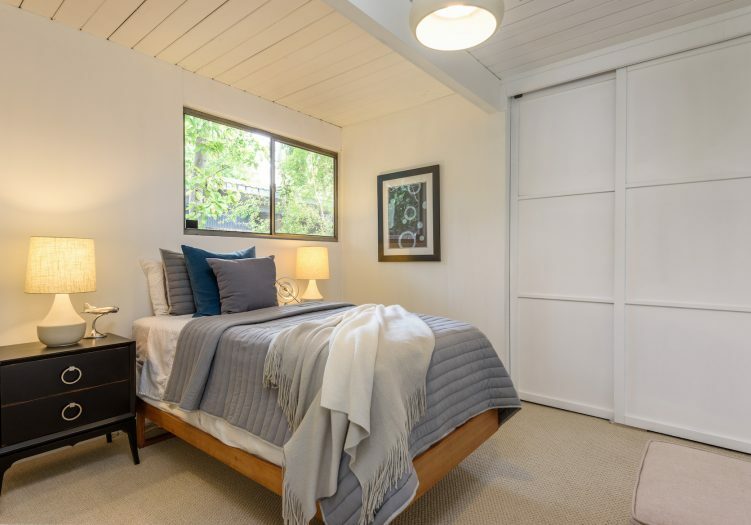 Master suite awash in light through a wall of windows overlooking the yard. 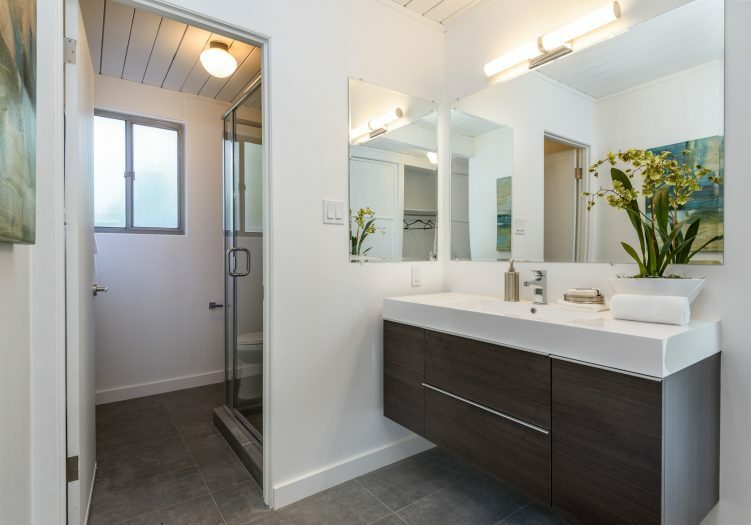 Remodeled master bath features warm grey large format tiles that transition from the floor up the wall and new wall hung vanity in rich walnut. Large, private yard with new landscaping, lawn and an expansive patio for barbecuing, relaxing or dining. Magical Bridges Playground, Winter Lodge, the Charleston Shopping Center and more. 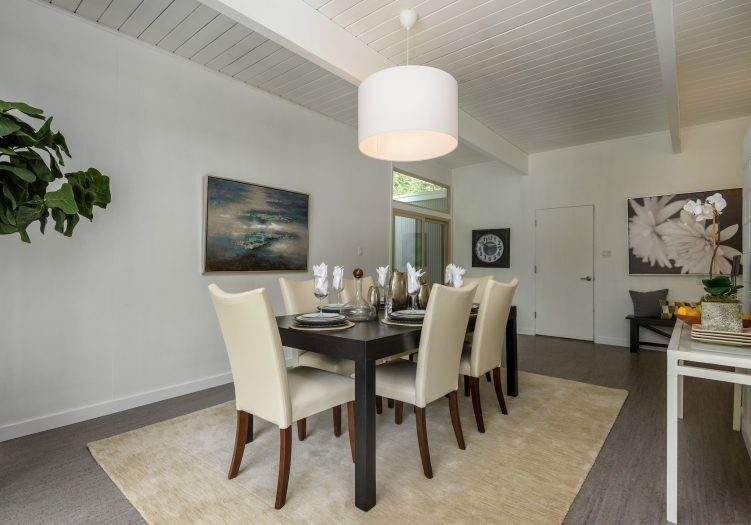 Commute options include nearby Caltrain, Highway 101 and Oregon Expressway.